Rank: #56 out of 481. PX RESPONDS TO YOU - When you need to pause, lift an ear cup. Put PX down and it goes to sleep. Pick it up to resume playing. Worry less about your headphones and enjoy your music more. SMART POWER - With a 22-hour battery life, PX is always ready; put it down and it goes into power-saving sleep mode; pick it up and you're good to go. PX is the smartest Bluetooth headphone on the market. Bowers & Wilkins PX are a very popular and one of the most expensive options. 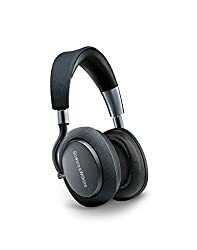 They're in the top 3 bestselling headphones and have dozens of popular alternatives in the same price range, such as Sony MDR-1000X or Bose QuietComfort 35 . Bowers & Wilkins PX are $339.98 more expensive than average headphones ($54.99).